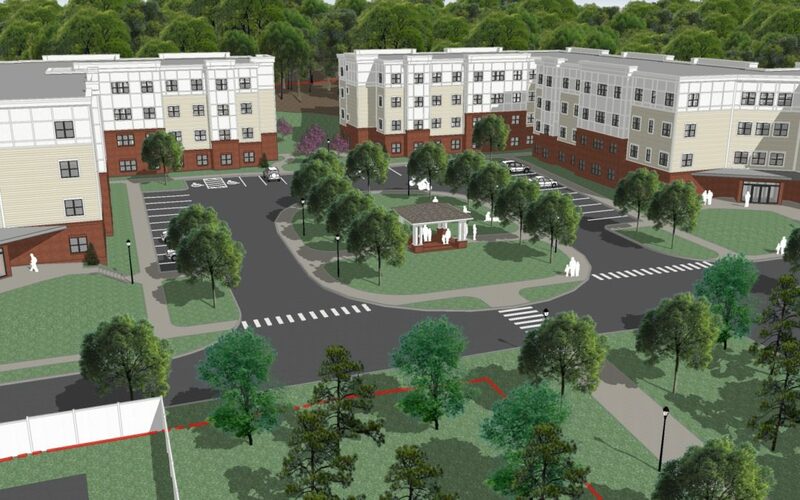 TROY, NY – The United Group of Companies, Inc., and its affiliated management division, has been awarded a third-party property management contract with Page Park Associates on their upcoming housing development, Fox Run at Fulton, in Poughkeepsie, NY. Fox Run will be built overlooking Marist College and the new Mid Hudson Regional Medical Center. The project promises to attract a portion of the 6,300+ student body as well as other professionals from the hospital and surrounding areas. The first phase of the community is comprised of 74 apartments and is expected to open in Fall 2016 while marketing efforts are expected to begin this summer. United Group has a successful history of managing similar housing assets, both owned and third party, throughout New York state including at Rensselaer Polytechnic Institute in Troy, NY, at SUNY-associated schools in Canandaigua, Sanborn, and Schenectady, NY, and multi-family communities in both New York and Florida. Years of additional experience in development and construction management of apartment communities gives United Group an edge and extra knowledge when making management decisions and with program development. “With their integrative approach, United Group has been more than accommodating in our efforts to better serve the community with quality housing,” notes Jason Page of Page Park Associates. Page Park Associates originally reached out to United Group in Fall 2014 and the contract was finalized in March of this year. About The United Group of Companies, Inc.: The United Group of Companies, Inc., headquartered in Troy, NY, is a nationally recognized, award-winning corporation with over 40 years of experience. United Group has become known for its successful development, acquisition, repositioning, and property management for a variety of real estate assets including student housing, independent senior housing, multi-family rental housing, commercial offices and mixed use developments. The company has developed more than two billion dollars of successful real estate projects, and has approximately 200 employees across more than 20 offices in New York, Georgia and Florida. Additional information is available at ugoc.com. About Page Park Associates: Page Park Associates began in 1979, building new buildings and renovating other structures for office/manufacturing space for International Business Machines (IBM). Over the next few decades Page Park Associates successfully grew the business through property acquisitions, diversification into related markets, and growth of their staff with additional experienced, skilled professionals. Today the company manages over 700,000 square feet of commercial space and as such has developed relationships with their tenants who include private business, medical organizations, non-profit entities, and government offices. The legacy of a quality company committed to its tenants continues today with the current managing partners. Learn more at www.pageparkassociates.com.